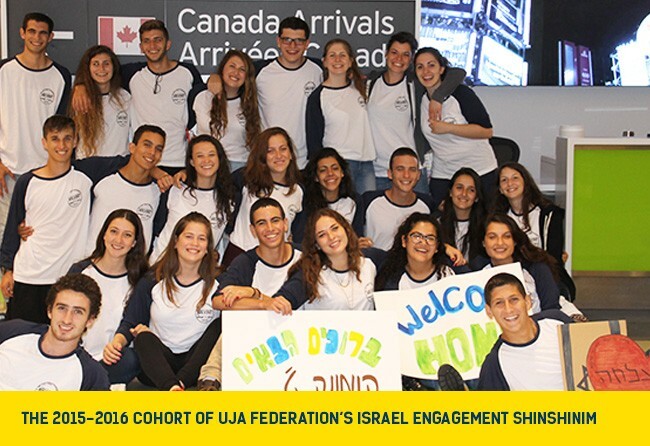 On August 23, the 2015-2016 cohort of UJA Federation’s Israel Engagement ShinShinim arrived at Toronto’s Pearson Airport full of enthusiasm, excitement, and, hopefully, warm clothing. After one week of workshops up north at Camp Shalom, the Komuna Tet (cohort 9) of the ShinShinim, comprised of 24 post high school / pre army Israeli teens, are ready to spend some quality time over the next year with our community’s youngsters in schools, synagogues, camps and student and youth groups, providing them with a true understanding of today’s Israel. “Spending these last few days with the new group, I can already see how they are forming as a strong Komuna, creating meaningful relationships and building up excitement for the coming year,” said UJA Federation’s new Coordinator of its ShinShinim program, Yahav Barnea, who hails from Kibbutz Shomrat in Israel’s Western Galilee. “We are so happy to have the opportunity to get to know them and watch them grow in the community."